Rafns' will join 33 downtown businesses in the Golden Ticket program for the upcoming First Wednesday. Each participating business will offer its own discount or promotion during the event. It's a great way to support a wide variety of downtown merchants, and perhaps do some early Christmas shopping. 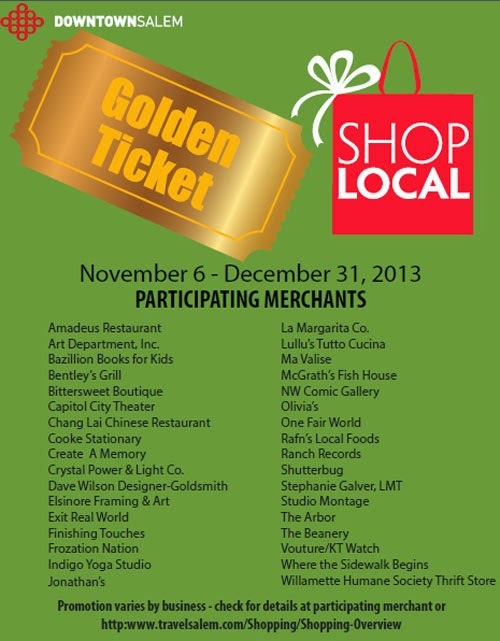 Visit one of the participating businesses to learn how to get a Golden Ticket and what the redemption value is when you apply the Golden Ticket to a purchase.